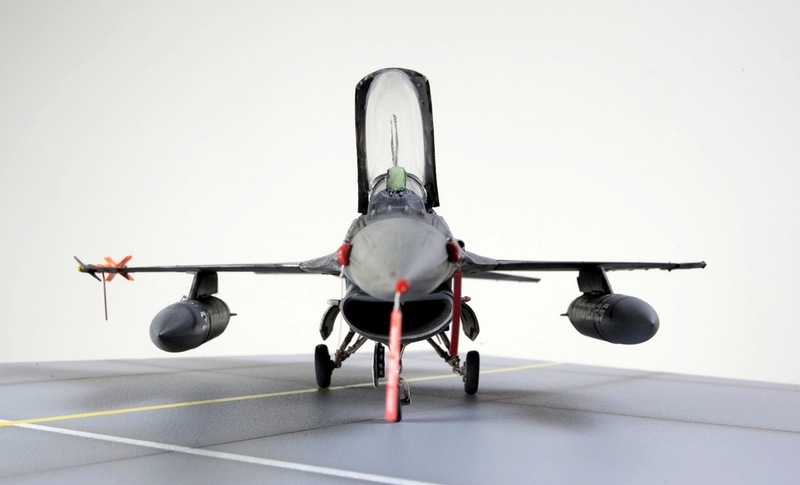 This dynamic model comprises a 1/48 scale Kinetic, Belgian AF F-16 MLU Tiger Meet. 2009 with Eduard cockpit detail set and remove before flight tags. 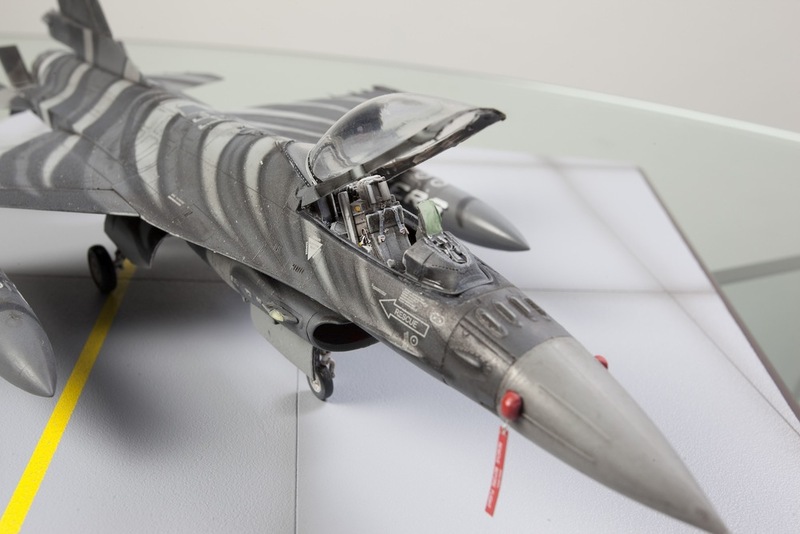 The model is painted with Vallejo model air paints, applied with an Aztek spray brush. The F-16 counts as one of the most successful combat aircraft in the world. In the mid 1990s a Mid- Life Update (Mlu) modernisation programme started for the European F-16, which would give the machines improved combat capability. The Belgian air force "31 Tiger Squadron", one of the most active and outstanding squadrons within the NATO air defences, organised the NATO Tiger Meet 2009 in Kleine Brogel. 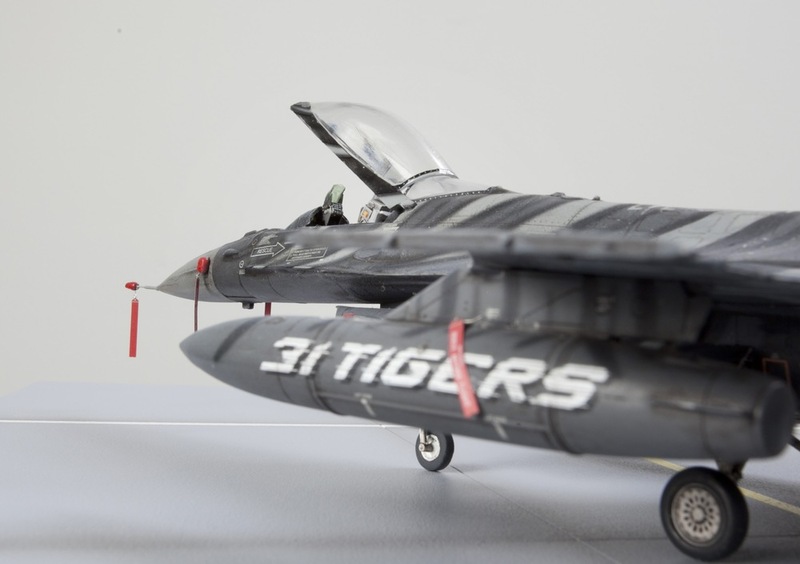 Specially for this event, an F-16 was fully painted in a striking tiger livery, the design and execution of which was created and executed by Johan Wolfs and Peter Verheyen. "31 Squadron" has now arranged the 7th Tiger Meet and received a legendary 7 "Silver Tiger" awards.